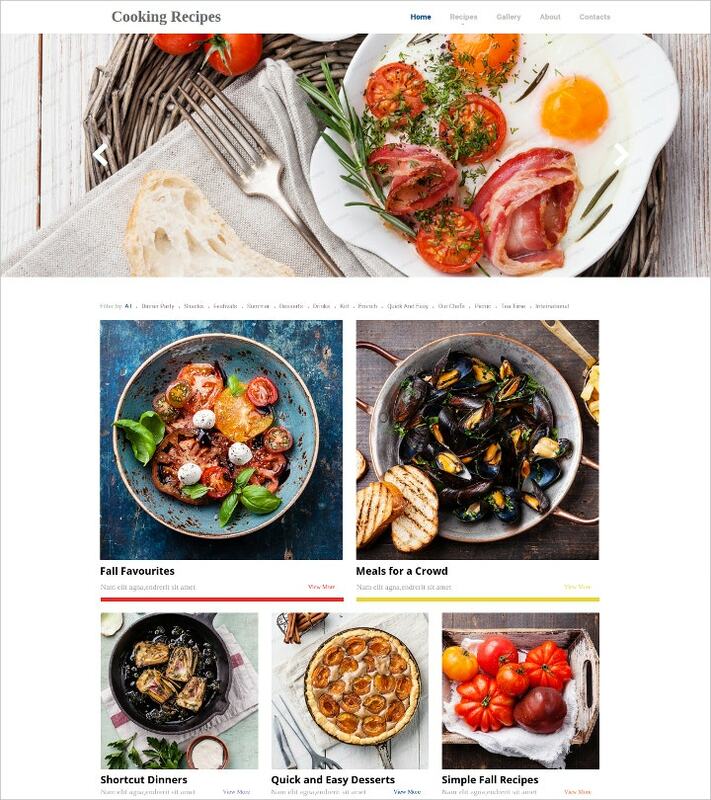 With the growing popularity of food blog and food website, we decided to put together today, a compilation of some effective and amazing food recipes website theme and templates. 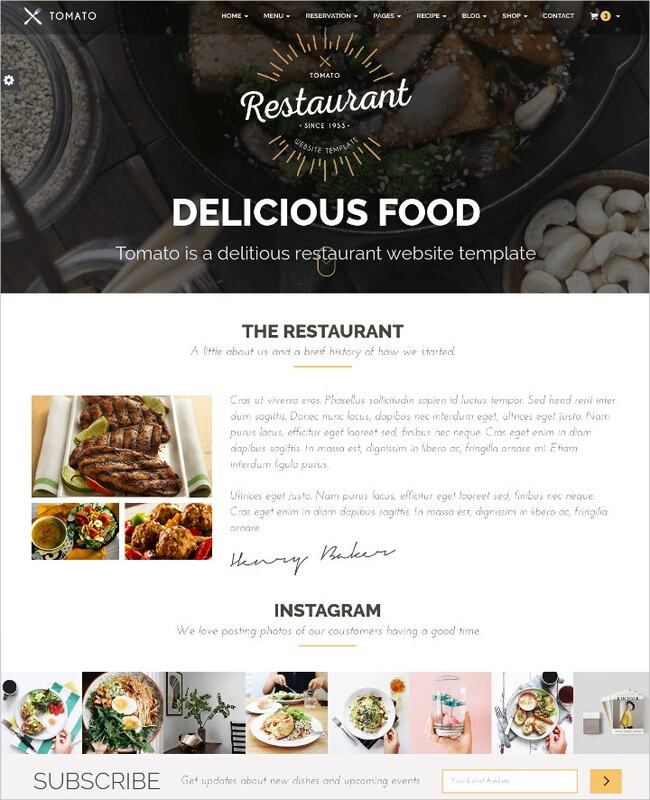 If you like our collection of Online Food Ordering and Delivery Template, we are sure the addition here is also going to be equally interesting and helpful for you. 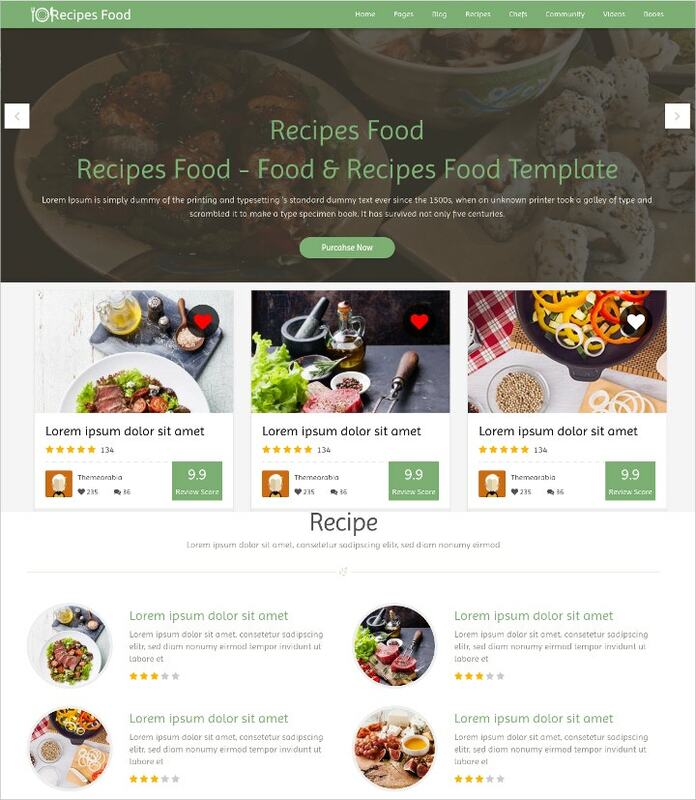 These templates and theme are very easy to use and anyone using them can create a food recipe blog or website of their own, without any professional assistance. 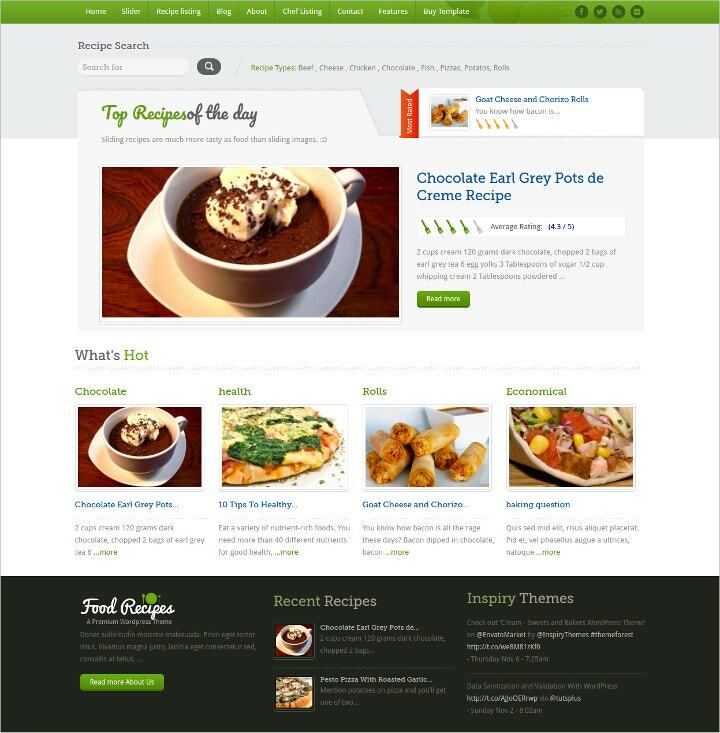 This is a clean and beautiful website template for food related web sites and blogs. It includes 14 Hand Coded HTML files. You get 5 design variations, features like service pages, google maps, AJAX based fully functional contact form etc. 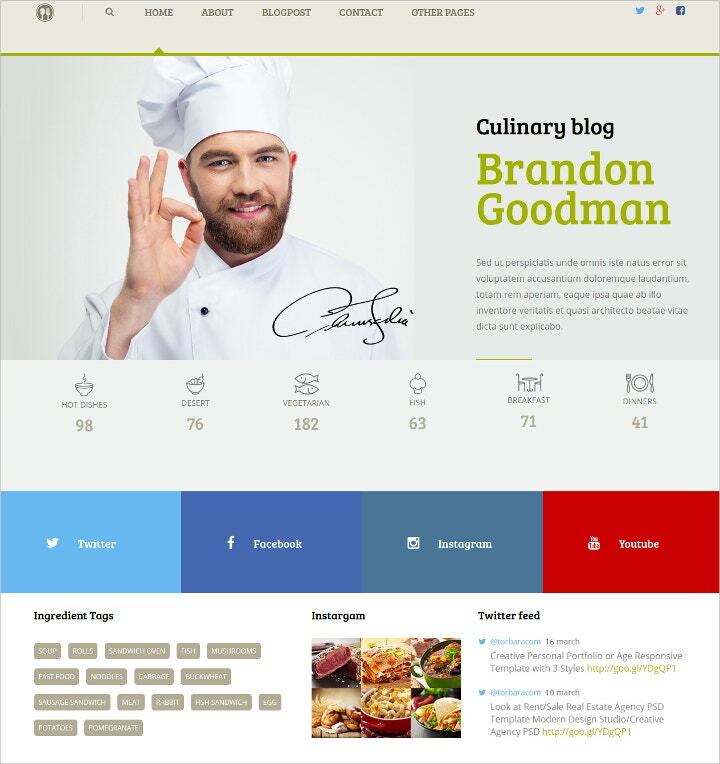 This is a great template design for creating a website for food buisness. 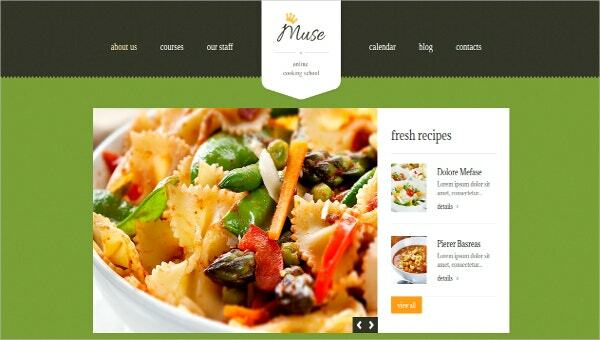 It comes with an interesting layout that will help you create a refreshing food website design. There are around more than 40 readymade HTML5 pages available in the file that helps you provide a wide variety to your design. 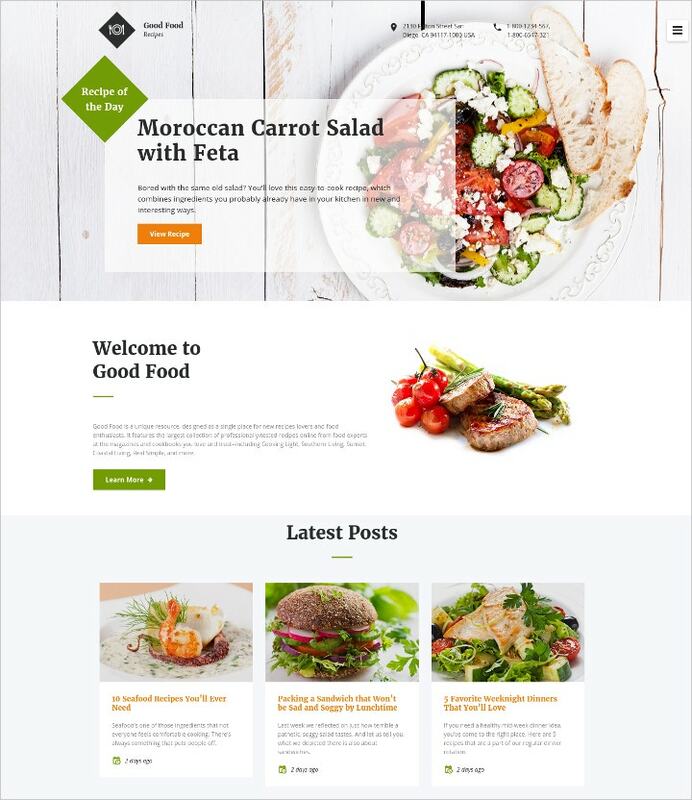 This is a fully responsive WordPress blogging theme that you can use to create a food buisness website. 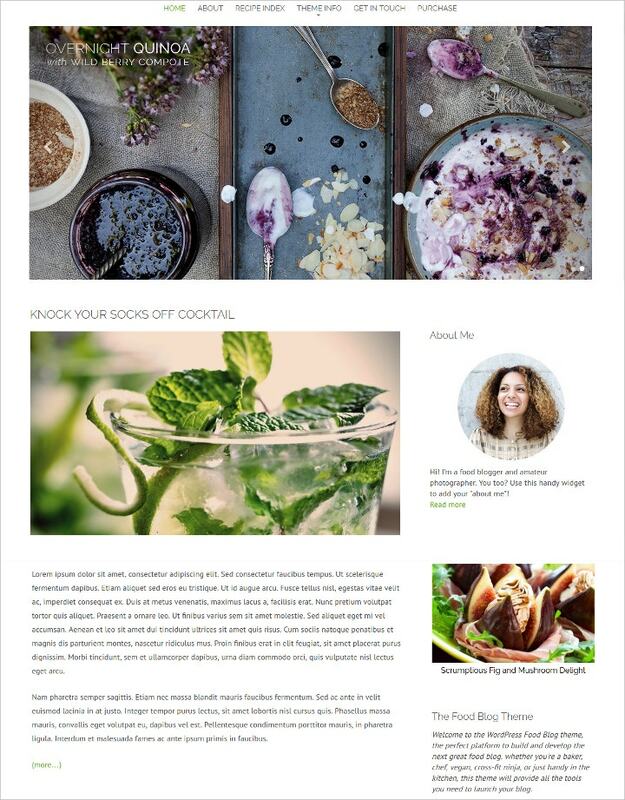 With the Super Simple Recipes plugin included especially with this theme, you can easily create beautiful and engaging recipe cards to add to your posts or pages, perfect for sharing your recipes with your readers. 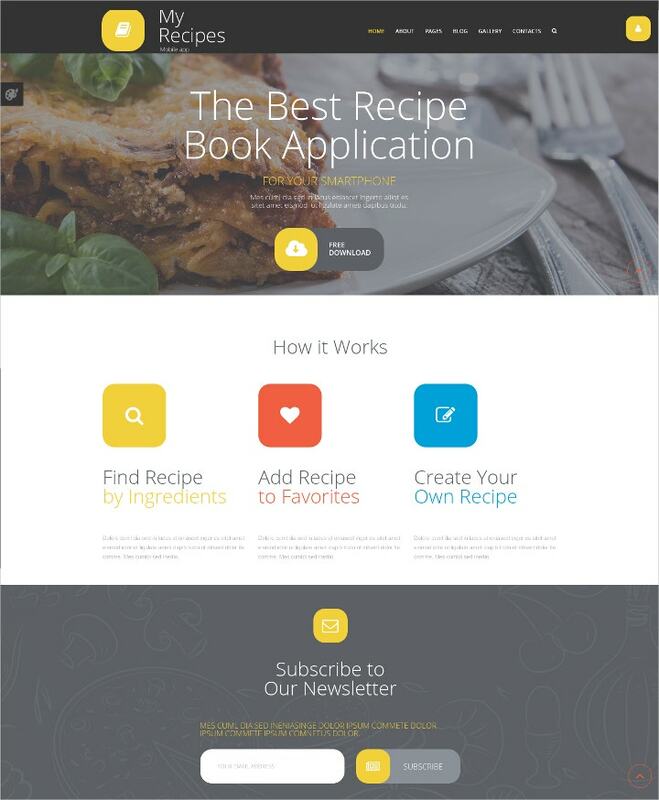 This is a modern and creative template with responsive HTML 5. It can also be used as Cafe Website Template. The template is very effective and is highly user friendly. 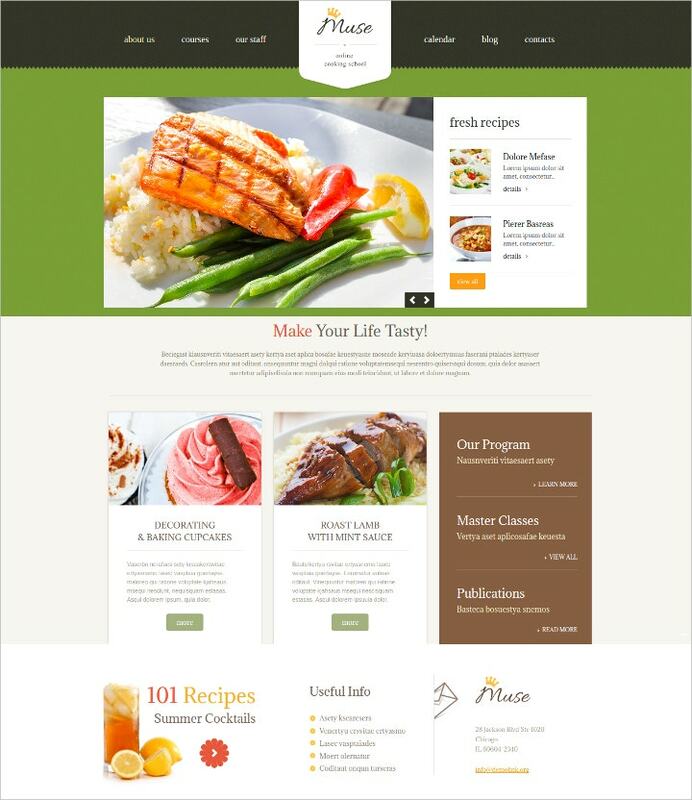 With any kind of professional help you can get your food website ready in no time. The template has great layout, bright colors, elegant design and fantastaic images. 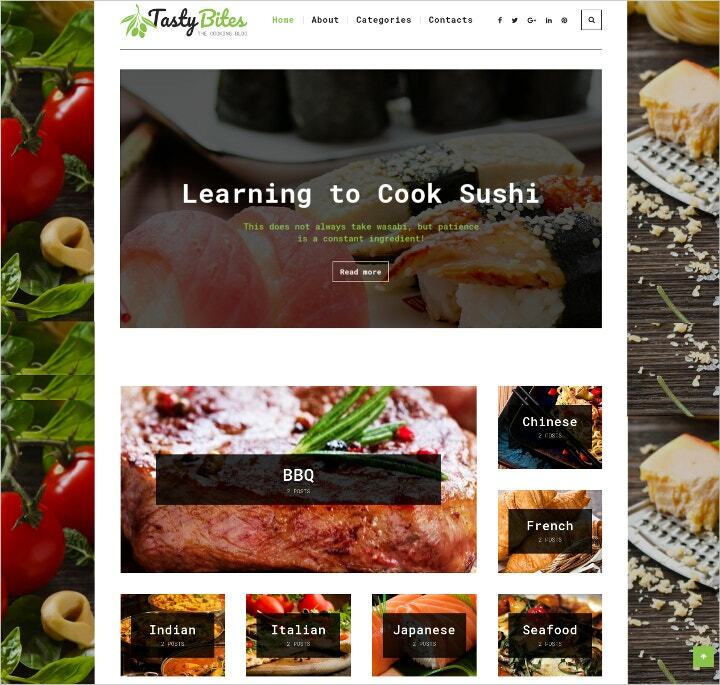 The template lets you create a super website design for your food business. Features like responsive design and Lazy Load Effect are few features that make this template one of the favourite on our list. Are you passionate about your food buisness and now want to convert your effort into a successful food blog? We have a great template design for you given above. This is a free blogger template with 3 columns, right sidebar, an exclusive design for Blogger and slider. The theme is well coded and built on the Bootstrap along with SAAS and includes development elements such as contact page, blog, post page, typography and other necessary design elements. 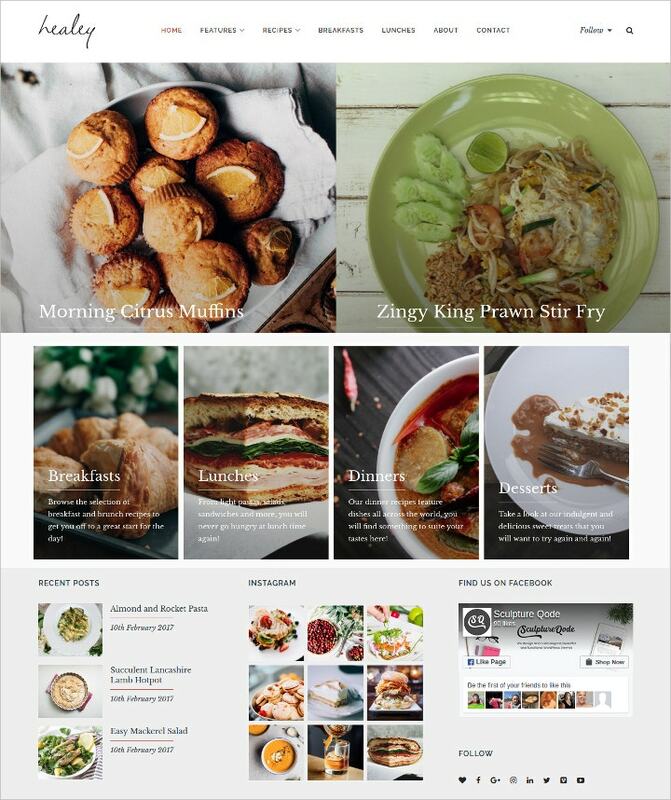 With this user friendly theme you can easily create a food website or a food blog and give your passion a digit platform. Do you have some amazing recepies you think deserve to be shared? The medium to do is definetly a blog. You no more need professional help to create a blog because we have an amazing template lined up for the job. 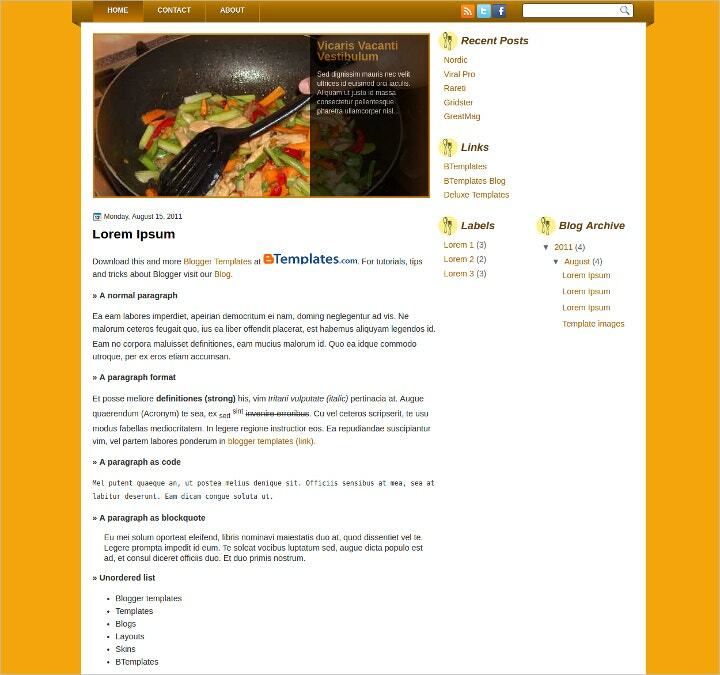 Click on the link give above and download the SEO freindly template to create a food blog. Here is a restaurant template that has everyone we have been looking for. 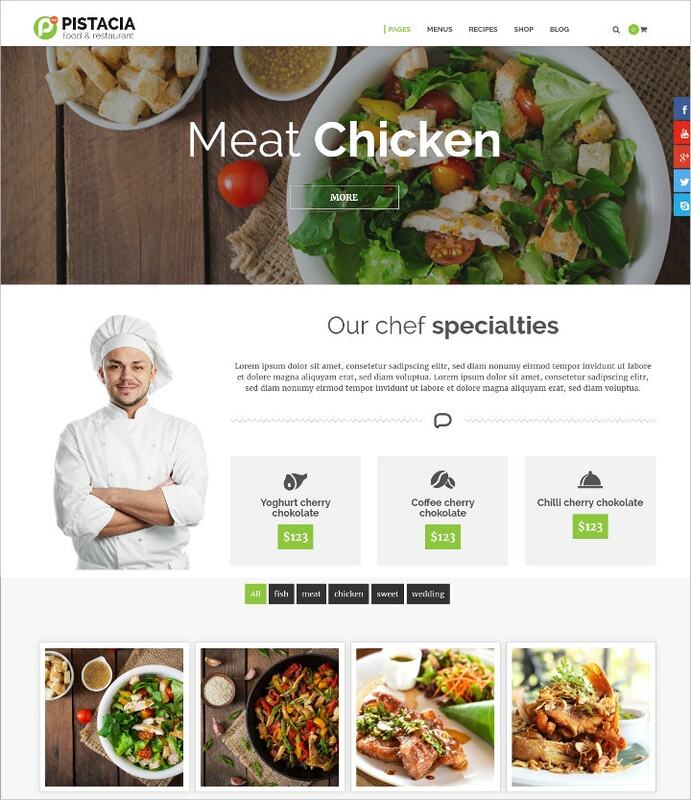 This is a responsive WordPress Theme is a premium and professional WordPress template for Restaurants, Cooking, Chef or Food Business. The template is fully responsive and mobile friendly to look great on multiple devices. The template can be customized easily to suit your needs, also it has full list of elements and a lot of shortcodes to build your website quickly and professionally. 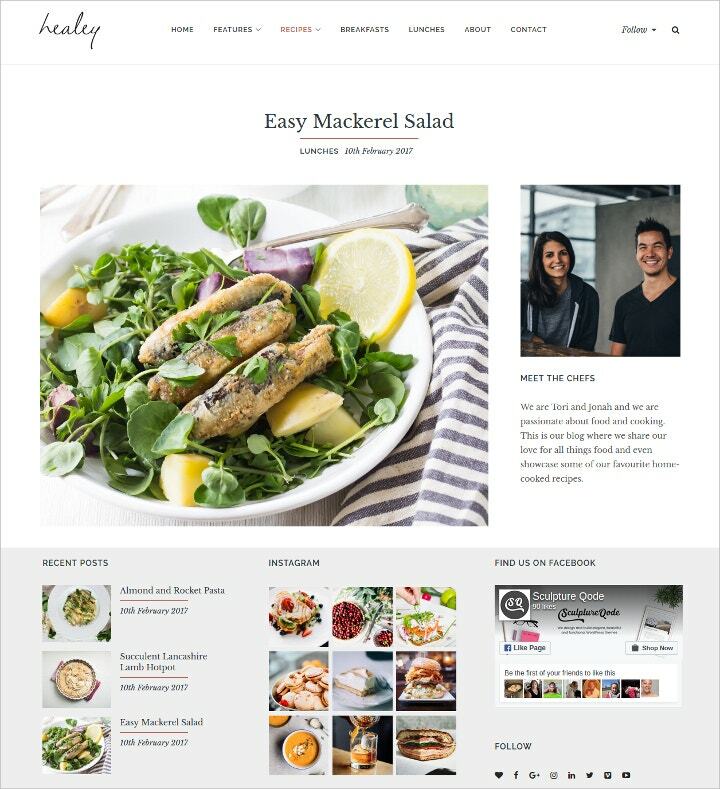 Use these templates to build a fantastic food website or blog design in no time and without any huge investment.